Vasa, a medieval pirate ship is seen cruising on Ashi lake. 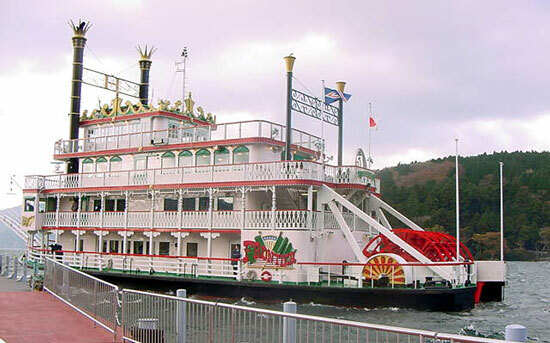 Thousands of tourists and sightseers board this ship everyday of the year. 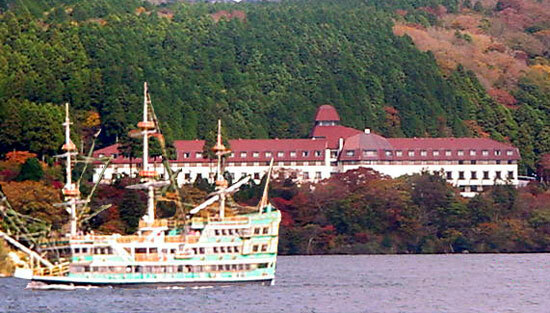 On the background is the famous Yamano hotel, one of the best places to stay when visiting Hakone.